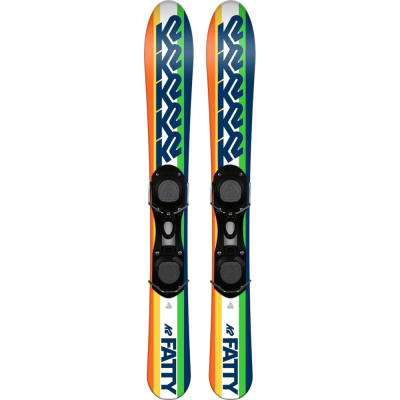 K2 Fatty 88cm Rocker Skiboards ski boot bindings 2019 are an inexpensive way to discover the sport of skiboarding. The short length feels a lot like skates, with a nice wider tip for float, great sidecut for quick carving and are super light weight. These have been quite popular for many, many years. We’re happy K2 Sports has continued to contribute to the sport of skiboarding for so many years. 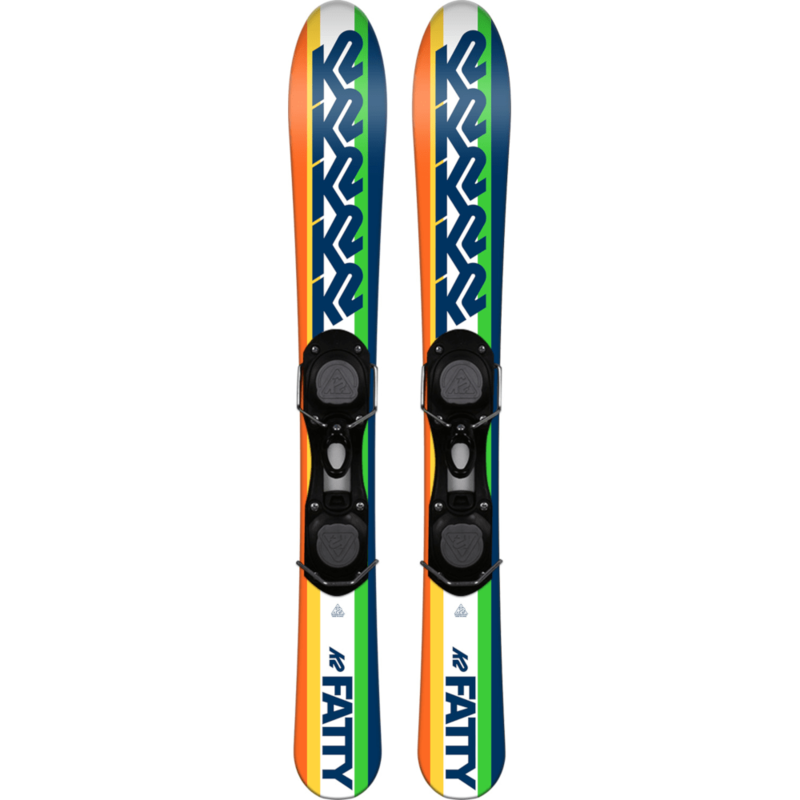 These K2 Fatty 88cm Rocker Skiboards ski boot bindings 2019 come with K2 adjustable non-release bindings that are pre-mounted to the skiboard. 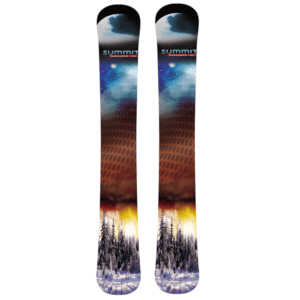 They can adjust tool free between Ski Boot Sole Length: 262mm-382mm (approx. US boot size men’s 8-12). Bindings include leashes required by ski resorts.